On Leadership and Ownership – It’s great to be back after taking some much-needed personal time off from blogging. The new year is always an energizing time for me, so kicking off 2019 by presenting “Leading Your Business the Marine Corps Way” at our CMM Business Breakfast on January 15 was wonderful. This talk is personal for me, as this year’s theme at CMM is leadership and ownership (something I wish our elected officials would start to do). I’d like to share some of these principles with you here, and I hope they inspire you to lead effectively. Check out this clip from my recent presentation. “As America’s expeditionary force in readiness since 1775, the Marines are forward deployed to win our nation’s battles swiftly and aggressively in times of crisis.” As a Marine Corps veteran, this mission is in my blood. The challenge facing the Marine Corps is to continue to make Marines feel as if they are doing the most important job in the world. What’s your personal mission? What’s your organization’s mission? How are you keeping yourself and your team motivated? These answers are critical to keep your team moving forward. The Marine Corps is famous for effective recruitment; fortunately, businesses and organizations of all sizes can employ these same techniques. Recruitment begins with the recruiter, who symbolizes “The Few, The Proud, The Marines.” Are you using your “best and brightest” to conduct your interviews? What are your recruiters/staff saying about your company to potential recruits? Are they engaging with the recruit, or merely reading from a resume? Starting on Day One, the Marine Corps recruit is told repeatedly that he or she will soon be a member of the greatest fighting organization on Earth. There’s nothing more powerful to incentivize your team to succeed than if they believe they are part of something truly unique and special. Spend your time telling your people how special they are, and if they are not special, replace them. While Marines know there are no guarantees, Marines are confident that they can achieve their assigned goals. In the business world, some managers believe that setting unreachable goals will still encourage their teams to put forth their best. But this can be destructive; if your workforce never meets its goals, each new expectation you set will be considered unreachable. Let your employees taste victory for victory to become a habit. I served in the infantry at Camp Pendleton, California with the First Marine Division, Fifth Marine Regiment, the most decorated in the Marine Corps. Our mantra was “Make Peace or Die.” Every Marine is a warrior. How do your managers supervise those on the front lines of your business? Promoting a “fighting culture” encourages competition, boosts performance, and creates a common experience that inspires individuals to work as a team. As the first to fight, Marines must prepare tirelessly every day to fight for our nation’s survival, even between conflicts. In business, it’s always go-time. You can’t wait for the next problem to reveal itself; you must constantly work to be better. Remember, if you are not training or closing a deal, your competitor is. The Marine Corps firmly believes that leaders are made, not born. How can you turn unlikely employees into leaders? Recruits learn to lead by degrees, building up through a course of progressive resistance. Baby steps are key to creating leaders in business and on the battlefield. Every person in your organization should be getting trained for the next position up the rung; those who embrace this challenge are the keepers. Marines are built through peer pressure, learning the hard way that the mistake of one person can affect an entire unit. This approach instills personal responsibility into each recruit (or employee) and helps them see their role in the bigger picture. When you manage your team, use words like “we” and “us,” and remember that when individuals either succeed or fail they rarely have acted alone. Teams should share in the praise or the blame. What ties together those who wear or have worn a Marine Corps uniform? Each of them has undergone the most rigorous basic training in the world. Similarly, a challenging shared experience among employees develops their respect for one another and the organization. Building common experiences and stories about your company and incorporating your employees into them builds an esprit de corps that can’t be manufactured any other way. For further reading, check out Semper Fi by Dan Carrison and Rod Walsh. Due to the fantastic feedback we received for this presentation in January, I’ll be in Southampton on March 27 to present this topic for our East End friends and clients. Please register here. 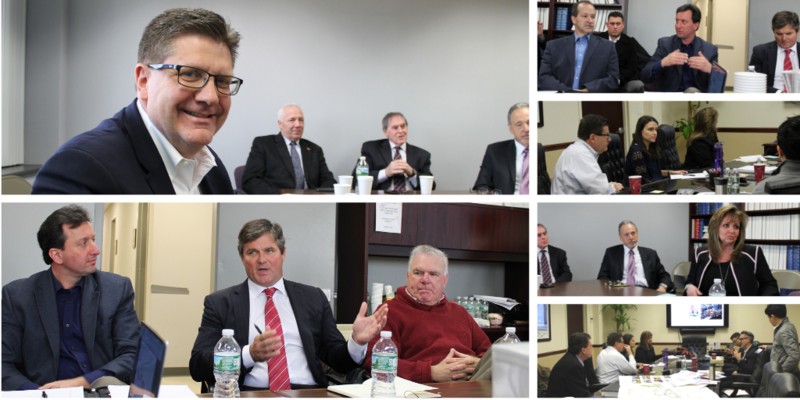 I’ve also really enjoyed getting to know new people by hosting businesses and nonprofits in our training room in Ronkonkoma, as well as visiting other companies at their offices, to deliver this workshop customized for their teams. If you’re interested in learning more, please reach out! I’d love to hear your personal stories of leadership and ownership. Château Greysac (Médoc, 2012) ($19.99) – For those looking to explore an old world Bordeaux, but not looking to spend a small fortune, this is the perfect wine. Very complex yet very drinkable, this wine gives off a great mix of fruit and earthy smells and tastes. We paired it with grilled lamb chops (medium rare, of course) and the combination was amazing! 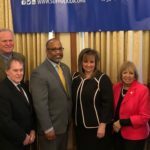 Fighting for Long Island – 2019 is already shaping up to be a milestone year for economic growth on Long Island. 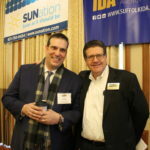 I recently participated in a final stakeholders meeting with Terri Alessi-Miceli of HIA-LI, the Suffolk IDA, the RPA, and elected officials to discuss the critical study being conducted on the Hauppauge Industrial Park, the second largest in the country behind only Silicon Valley. A shout-out to James Lima Planning + Development for their hard work and diligence. Stay tuned! 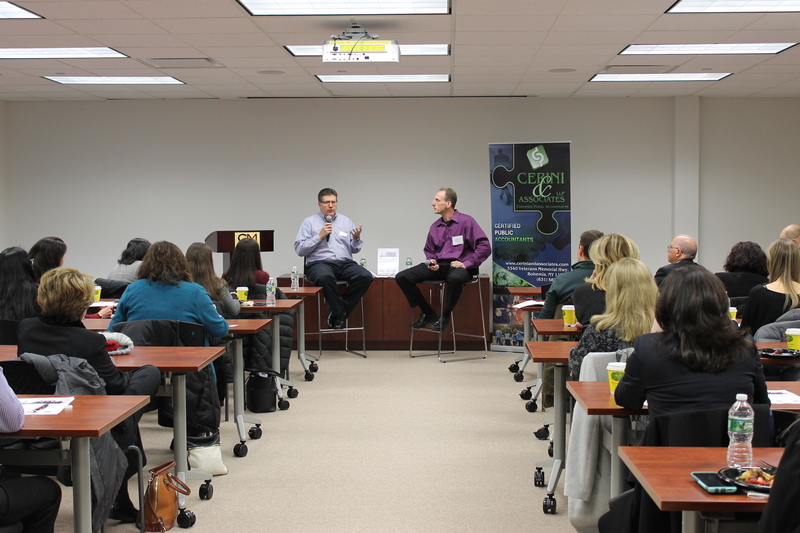 Philanthropy & Business – Earlier this week, my friend Ken Cerini of Cerini & Associates joined me in CMM’s new training room to bring together the business and nonprofit communities for “A Conversation About Philanthropy and Business.” Before a packed room of business and nonprofit leaders, we discussed strategies for nonprofits to create long-term partnerships with businesses that are fulfilling to both parties, as well as how businesses can maximize their impact and build their teams through philanthropy. I love helping to create win-win relationships! More to come. 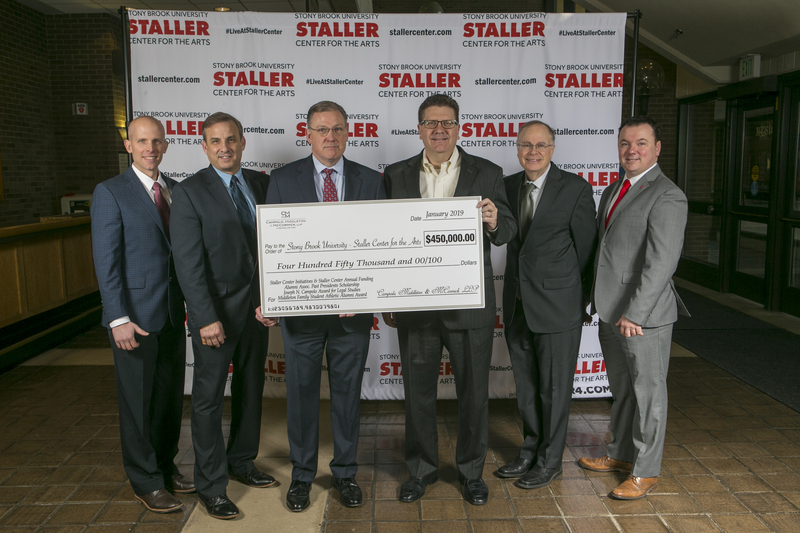 Keep the Arts Thriving – Speaking of philanthropy, I truly was humbled by the response to the news of CMM’s $450,000 gift to the Staller Center for the Arts at Stony Brook University, where I serve on the Advisory Board. My partners and I were proud to make this pledge as part of our commitment to keep the arts alive on Long Island. If you love theater, music, and live entertainment and haven’t been to the Staller Center, you are missing out on an incredible gem. I’m thrilled that we were able to secure a new state-of-the-art sound system for Staller, as well as support other critical initiatives. Read more. Here’s to a great 2019 for all!